Charming large country house at Theminettes/Padirac in the Lot. Large country house on 6000m² of land comprising of a main house with 4 bedrooms, 3 . . .
Lovely little stone house situated in a charming village in the Lot. Opportunity to own this cosy village house in the beautiful region of the Lot! Once updated . . .
House for Sale in Aynac (46120) 4 bedrooms, large living / dining room, kitchen, 2 bathrooms, caves, garden, 2 terraces, pool and a barn. 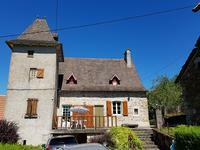 Beautiful traditional stone house with dovecote from the 17th century tastefully renovated . . . 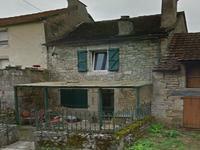 Located between Gramat and the picturesque town of Figeac, after having followed a tree-lined . . .
A nice renovated semi-detached village house with a garden and an independent garage. Edge of village location. Located 15 minutes from Gramat, and 20mins from the picturesque town of Figeac is this lovely . . .